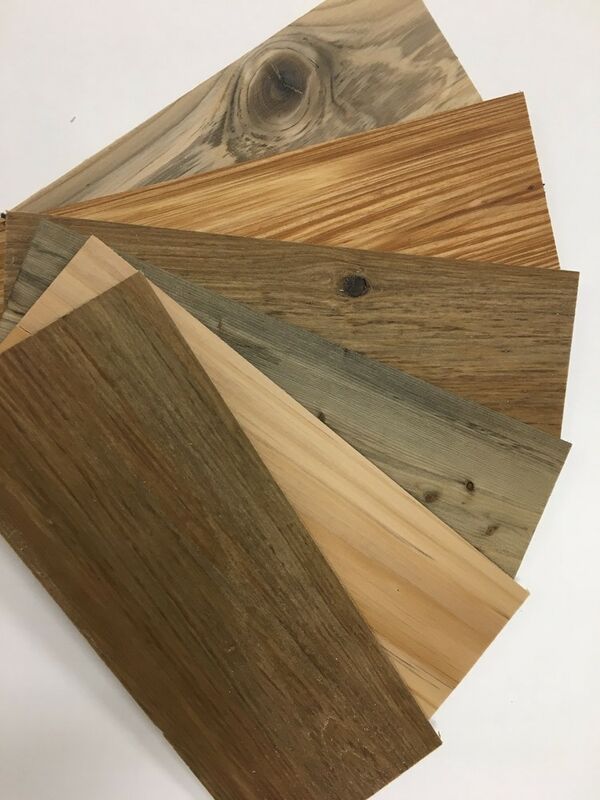 Timberchic River Plank Peel and Stick Reclaimed Wooden Panels River Planks / Sample 10" x 4"
River Planks / Sample 10" x 4"
This is an assortment of 8 -12 inch long samples that showcases the quality, stain and peel and stick application of the corresponding wall panel product. Sample should be used as an example only and represents a small portion of the actual product. Natural color variation may be expected. 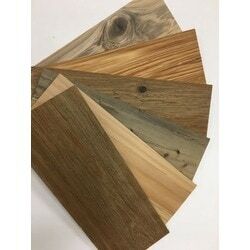 Customers are encouraged to test the sample in the setting and usage required to satisfy their requirements before making a purchasing decision. Rustic Castanho - WOOD PANELS / 10.6" X 10.6"